Jailbreaking is now legal in the US and it’s no surprise that hackers are making use of the allowance like never before. 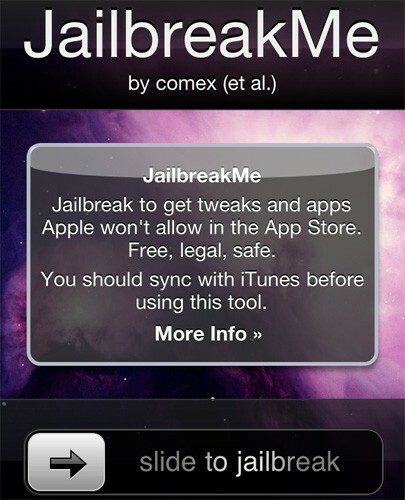 iPhone hacker Comex has released the first iPhone 4 jailbreak and it’s also the first web based jailbreak. It’s named JailbreakMe and it allows you to hack any iPhone running iOS 4.0.1 or below and any iPad running iOS 3.2.1 or below. What’s even better is that you only need to visit www.jailbreakme.com using mobile Safari and you’re all set. It should be remembered that jailbreaking may be legal but it still voids your warranty and several reports from users currently accessing the website say it may break FaceTime and MMS, though it can be fixed. Users have also reported server failures and massive traffic on the site is not helping matters. Comex is asking users to stay patient and keep checking back for updates and solutions for problems like the broken video chat feature. The site is constantly updating the jailbreak as bugs and problems are sent to them from users worldwide. Check out the video below to get an answer to all your queries. Next post: Would You Try The Google Chrome Canary Build?